i mean. who doesn’t love velveeta “cheese”?! let alone velveeta mac & cheese. it’s so creamy. heavy. makes you just feel warm all over. aaaaaaaaand key word, heavy. eating it is very enjoyable and delicious, but all those unwanted process carbs and calories well, just aren’t enjoyable after you finish the entire box a bowl. but that doesn’t mean we can’t FEEL like we’re indulging in something that’s creamy, heavy and makes you feel warm! that’s where re-creation comes in! one of my favorite food groups is mac & cheese. yeah, it’s a food group. and this one i can promise will make you entire family happy! along with that bikini-bod you’re working on! honestly, i just couldn’t think of a name, soooo “moc” always comes to mind when re-creating a yummy food. and the whatcha need list, is SUPER short. always a win in my book when getting ready to whip up anything! step 2: set the heat to low and plop in that 1/4 cup greek yogurt and cheese in the sauce pan, stir and then let sit for 5 minutes. 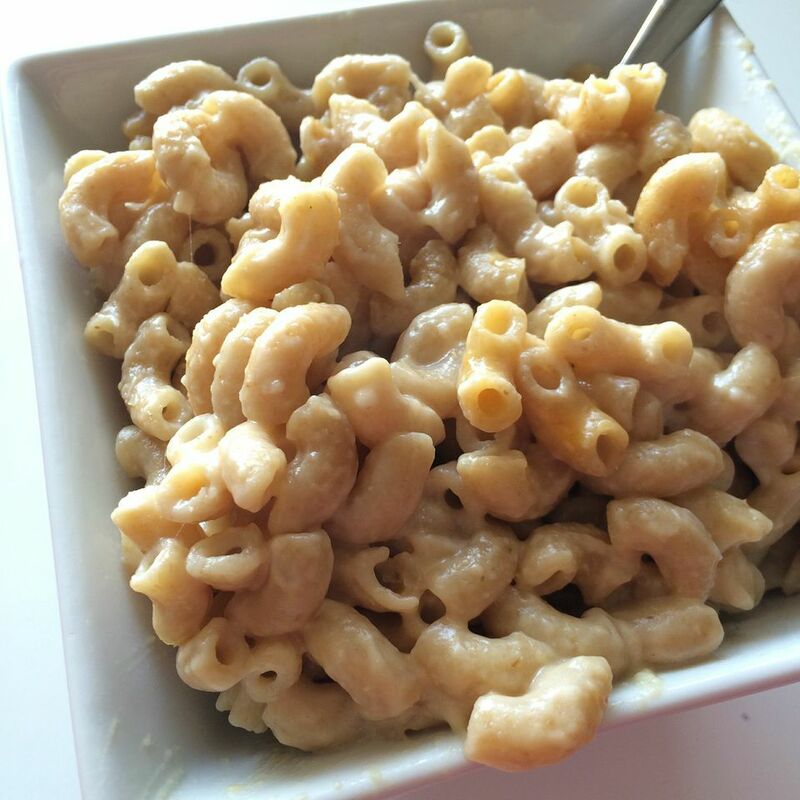 the greek yogurt, cheese and almond milk will create a thick texture (velveeta!). i added the mustard for just a little kick, it’s totally optional! 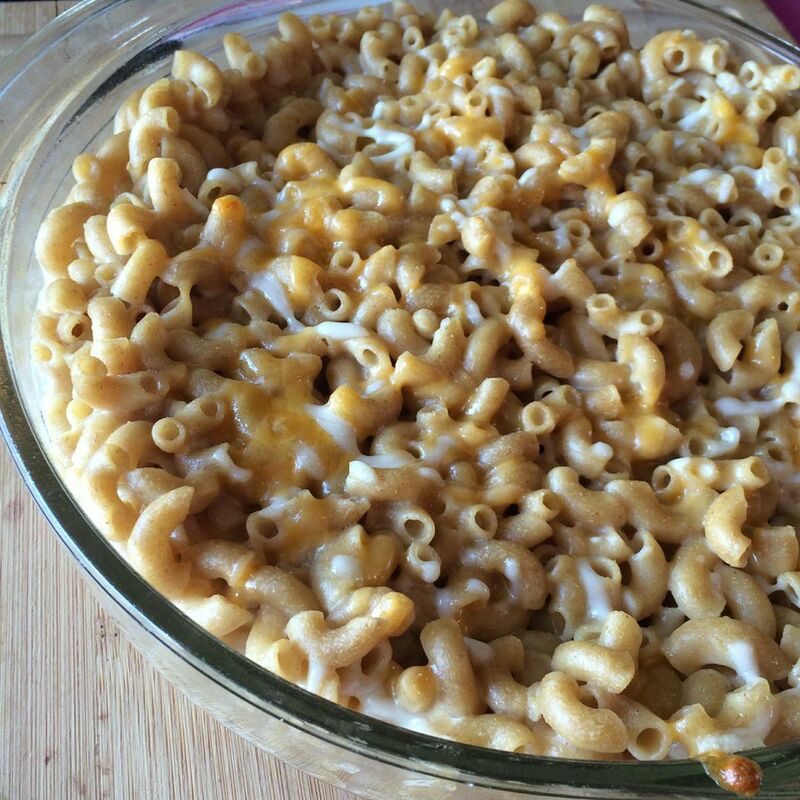 step 3: pour mac & cheese into a baking dish, spread evenly, top with extra cheese if you want, then stick in oven for 12 minutes. i meannnnn…………. LOOK at that! it makes my eyeballs warm! and my stomach hungry.